The Health Professions Institute provides opportunities for high school students to experience different areas of health care as a career discipline while participating in a high-quality, lab-based learning experience. Students will engage with the College’s faculty and converse with health care professionals including physicians, nurses, health care administrators, and research scientists. The Institute will focus on career exploration, college immersion, and a variety of learning activities. By conducting lab work, traveling to local health care facilities, and working in small groups, students will gain valuable learning and lab experience to help position them for success on their way to a career in the health sciences. Lab courses and featured professors will be announced in Spring 2019. Rising high school sophomores, juniors, and seniors who want to explore healthcare-related careers through participation in a variety of dynamic learning experiences. Any questions regarding the institute should be directed to Colton Bright, Health Professions Institute Coordinator: 814-641-3603 or brightc@juniata.edu; or Alisha Boerstler, Health Professions Institute Coordinator: 814-641-3434 or boersta@juniata.edu. * Payment plans available. Please call 814-641-3604 for details. 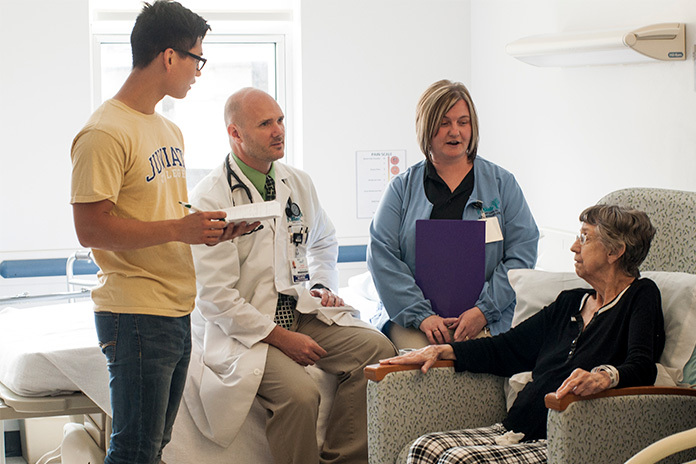 Why Attend the Health Professions Institute at Juniata? Juniata College has specialized in preparing students for careers in the sciences for over 140 years. With major grants received from the Howard Hughes Medical Institute, the National Science Foundation, and the National Institutes of Health, Juniata provides students with many unique opportunities to learn by doing. Juniata’s health professions committee and alumni are dedicated to helping students find the best hands-on experiences. Recent locations for internships have included Altoona Family Medicine, the DNA Analysis Unit of the FBI, Geisinger Health System, Harvard, J.C. Blair Memorial Hospital within walking distance from campus, and a clinic operated by So Others May Eat in Washington, D.C., as well as large and small animal veterinary practices. Graduation results in the health professions include Juniata College’s current 90% average medical school placement rate, which has been held for more than 40 years. Acceptances to top-tier institutions such as Duke, Johns Hopkins, University of Pennsylvania, University of Washington, Harvard, and University of Pittsburgh are the norm. Juniata College is an independent, co-educational, liberal arts college of 1,600 students located in Huntingdon, within the scenic Allegheny Mountain region of central Pennsylvania. Founded in 1876, Juniata is ranked among top-tier private liberal arts colleges nationally. 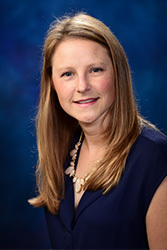 Amanda Siglin, Ph.D. is the Director of the Health Professions Program and Chair of the Health Professions Committee at Juniata. Siglin is a member of both the National and Northeast Associations of Advisors for the Health Professions and holds a leadership position with the National organization. She also serves on the Board of Directors for the South Central PA AHEC. She administers the program and serves as general advisor for all health professions students.